The other day I was talking to Peter Koning, an internet marketing buddy of mine, who is now focusing on lead generation and domaining. Peter started out as an affiliate and has done quite well promoting affiliate offers over the years, primarily in the b2b space. Along the way, Peter uncovered a group of scammers who are out there making money by ripping off merchants, using a special kind of domain. At first I couldn't understand it – how could someone without a website and without doing any advertising make commissions? Whereas most affiliates promote my ebook with their own review blogs, comparison sites, paid banner or ppc advertising, there is a risk of some more sneakier affiliates cutting corners. Sounds innocent? That's what I thought. At first I was thinking “That's ok with me as they are being clever and sending me more customers, aren't they?“. There is a law against this practice – called the Anti CyberSquatting Consumer Protection Act. There are also legal processes you can initiate to get those domains handed over to you, and the squatters can get some serious fines. See the Anticybersquatting_Consumer_Protection_Act information on Wikidpedia. In fact, Pinterest recently won a $7.2 million judgement against a Chinese cybersquatter doing this with 100 domain names, and they don't even have an affiliate program! But if you are a merchant who sells their products through an affiliate program, and you catch some of these affiliate typo domainers, do you really want to go down this messy legal route? Peter explained that there is an easier solution – just find out who they are, and stop paying them. Most affiliate programs do not allow variations of your brand to be used in ppc ads or domains, so it's usually just a matter of reporting the affiliate and cutting off their commission payouts. 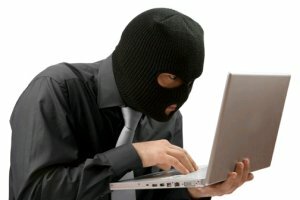 In some cases you might want to be careful before you pull the trigger, however, as some of these domain cybersquatting affiliates could also be sending you legitimate customers using other techniques, so you need to evaluate which ones are worth keeping. So how do you know who's stealing traffic and commissions using typo domains? One easy way is to use a new service that Peter has recently launched, called TypoAssassin. You get an account, enter your domain (or product name, model name, CEO name etc.) and TypoAssassin will show you all the typo domains it can find. Better yet, if someone registers a typo domain 2 weeks from now, you'll get an alert so you can go check it out yourself, and stop any commission theft before your next payout. I tried it out on my own domain, and found a typo domainer who's been using this method to skim commissions from me. Fortunately, I only came across a few of these bottom feeders, but Peter told me that he has found some merchants with 100's of typo domains in a wide variety of niche markets. And once they latch onto you, they keep buying more. One of Peter's customers had 8 typo domains in early 2013, and at last count this number had grown to 33 with 4 new affiliates joining in. 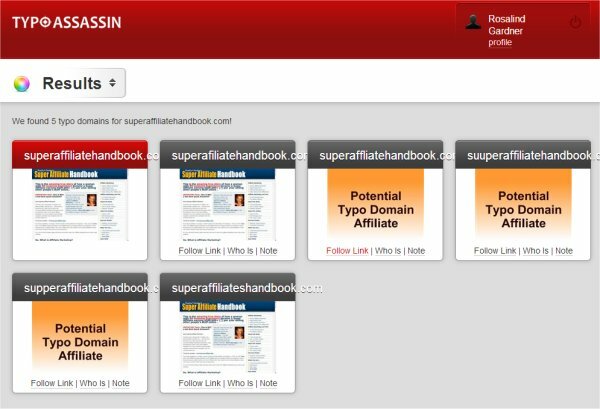 Now with TypoAssassin , you can catch all the affiliates that are infesting your program, save paying out commissions to those cheats, and rest easy that you be get alerted when the next wise guy tries to steal from you. This is why it pays to be honest online, because it catches up with anyone later on. Some advise you to register every possible top level domain (TLD) and misspelling variation possible. That would be prohibitively expensive for a small business. As well, since you might miss some domain names, it would offer limited protection. The TypoAssassin service you mention is an interesting solution. I suppose you could NOT pay cybersquatters their commissions; that would be easier to do if you had your own affiliate program as opposed to using ClickBank. Of course, there are legitimate reasons for using domain names that redirect to affiliate websites. Some people don’t like to click on anything that looks like an affiliate link. In offline media, a catchy domain name might be easier to remember than an affiliate link. I didn’t know this was illegal. It really surprised me. I would have thought it was a good idea. Like you said, it would have appeared to me that they were being clever. It’s informative to know that there is a law against this practice. Thanks for the info! I have to admire their innovation and ingenuity. Its everywhere in nature. The parasitic host forms a toxin to kill the parasite, then the parasite develops and immunity. Laws are made, people find a way around it. Where there is money there will be a thief. That is the way of our society. You know then there are the ones who legally bleed the system everyday standing in line who think we owe them something. Certainly there are those who have earned their way but you know the one’s I am talking about. Thanks for the information. This is one of the reason”s I have been so hesitate to go on line. I also know I can’t allow these crooks to keep me from building an online business. I will have to get his program once I get it up and running. I’m pleased to hear you say “I can’t allow these crooks to keep me from building an online business”. You’re absolutely right! Sadly, you have to factor in a small percentage of loss in your business due to theft. But it helps to be proactive and mitigate those losses where you can.